How do I refill my ink cartridges? You can order securely online using your Visa, MasterCard, American Express, Discover, Paypal, your Google Checkout Account or by mailing us a check! Just add the items to your shopping cart and then check-out. Click Here for more information about the payments we accept. We also accept purchase orders from Schools, corporations and government agencies. Orders received M-F before 4pm eastern time are shipped that same day! We ship orders less than 13 ounces by USPS First Class, larger packages by USPS Priority Mail which averages 2-3 day service throughout the United States, and packages over 3 lbs by UPS Ground which can take from 1 to 5 days depending on your distance from our home state, Michigan. Military orders (AP, AE, APO, FPO address) are delivered by the military's delivery system and can take anywhere from a couple of days to one month. Unfortunately, the delivery time is out of our control, and tracking is not available. While the delivery time varies greatly, the cost is minimal and the product always arrives in good condition. International orders are sent by Air Mail and the delivery time is subject local postal conditions. Delivery times can take 4 days - several months depending on customs and local delivery conditions. International shipments are guaranteed to be shipped, but delivery can't be guaranteed due to varying international conditions. Everywhere! International orders carry a small premium over US orders. And, because we use the US Postal Service we also ship to US military address and PO Boxes. Shipping is FREE for United States, US Military Bases and US territories for orders over $45 , and only $4.95 for orders less than $45 . Am I safe using my credit card on your site? Absolutely. In fact you are safer ordering from our site than a lot of the big name companies. When you place your order it is transmitted via Secure Socket Layer (SSL) encryption to our secure server. Our Secure Sockets Layer 128-bit software is the industry standard and among the best software available today for secure online commerce transactions. It encrypts all of your personal information, including credit card number, name, and address, so that it cannot be read as the information is passed on to our server. What's the difference between 'compatible' cartridges and 'remanufactured' cartridges? 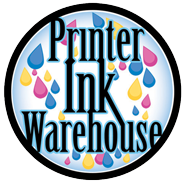 Compatible cartridges are new cartridges manufactured to match the cartridge which came in your printer. Remanufactured cartridges are cartridges which have been used once (we only remanufacture virgin cartridges), rebuilt and refilled. Generally speaking, cartridges which have a printhead on the cartridge (generally HP and Lexmark) are remanufactured because the printhead has circuitry on it which is patent protected and can't be duplicated. We offer a ONE YEAR guarantee. If you're unhappy with your order for any reason, click here.